The microblogging network, not only serves to express ideas, share images, links and keep us informed, but is becoming a financial tool. Customers of American Express in the U.S. will soon be able to buy and pay for goods by simply including a hashtag (label), in a Twitter message; it means special offers to be published in this social network. To use this new feature, users must link his credit card to his Twitter account and respond to tweets with deals, using some specific tags. 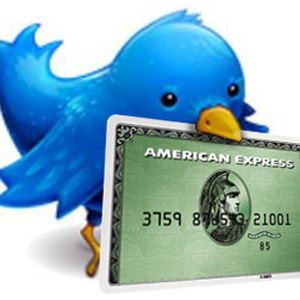 Twitter will be the first network to implement payments through publications, but similar methods will soon be available on Facebook and Xbox Live, also from the hand of American Express. Several shops have been associated with the system, to offer their products through Twitter, using also the marketing potential of having the microblogging network, which allows reaching millions of people in 140 characters. For now, the system is only available to customers of American Express in the United States, but work well is likely to be extended not only to other countries, but also to various payment methods. Networks such as Facebook, and allow physical buying gifts for our contacts, a trend that will gradually common in a world where immediacy is important.